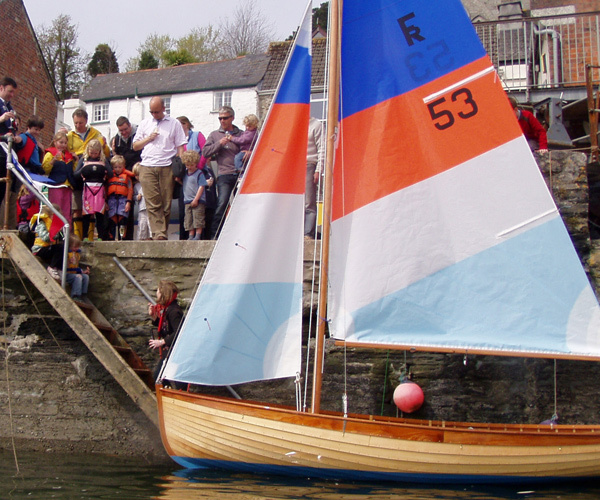 These sailing dinghies have been built in Fowey Cornwall since the fifties. 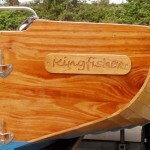 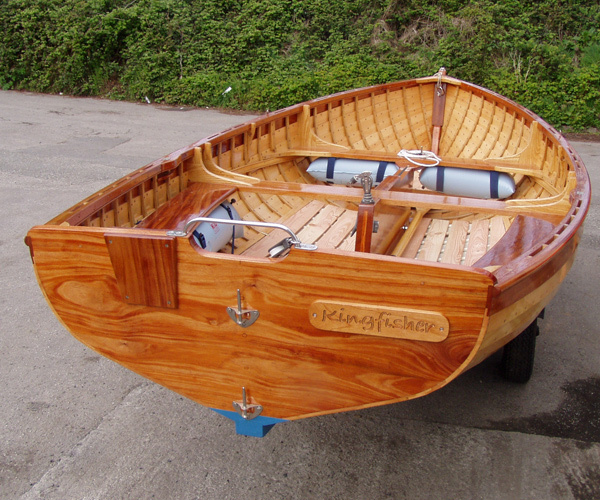 The Fowey River class dinghy is based on the Yachting World 15′ knockabout dinghy designed by Reg Freeman in the late 40s and the plans were published in Yachting Monthly to try and encourage people to build their own boats. 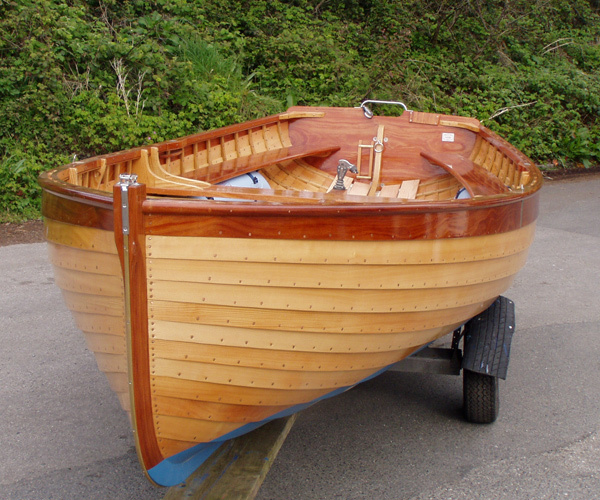 In the 1950’s, Hunkins Boatyard at Polruan built one for the local dentist, and others soon followed, with 15 boats in the fleet by 1957. 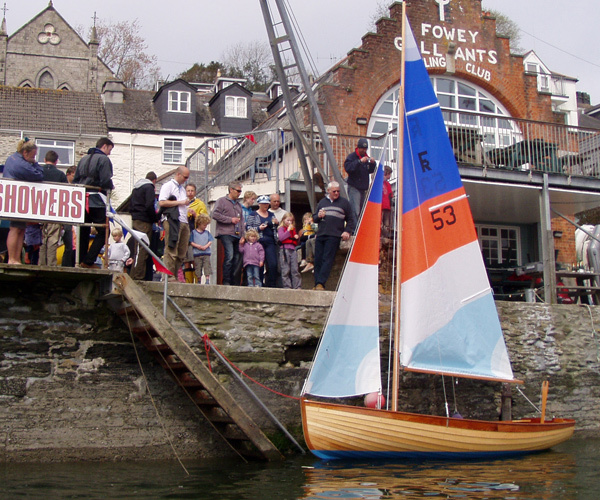 Other local builders also built Fowey Rivers, Percy Mitchell at Portmellon, Watty in Fowey, and by 1965 the fleet had reached 36 boats. 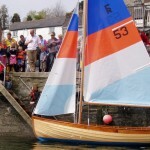 As with a lot of local wooden fleets, the numbers then dwindled, the fleet almost disappearing, with just one Fowey River racing regularly, and a few ‘old wrecks’ turning out for Regatta Week. 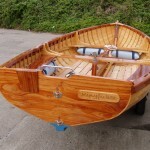 However, there was an underlying interest in the boats, they could be used for racing, rowing, taking the family to the beach for a picnic, put an little outboard on the back and motor up the river on the evening tide to Golant or Lerryn, a multi purpose little boat. 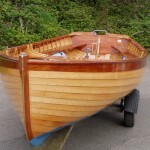 In the early nineties, Hunkins were asked to build a new boat, and also carried out some restorations on older boats that allowed them to float again (the keel/garboard seam was a weak point, as was the fastening of the centreboard case). 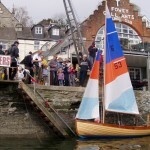 Over the last 20 years, a renewed interest has seen the fleet back out racing, with 20 new boats built and several oldies restored, there can be six or seven out for regular Wednesday and Saturday racing, with the fleet swelling to 15 or 18 in Regatta Week (for pictures see www.jonbarkerpics.co.uk – Fowey rivers have multi coloured mainsails and jibs). 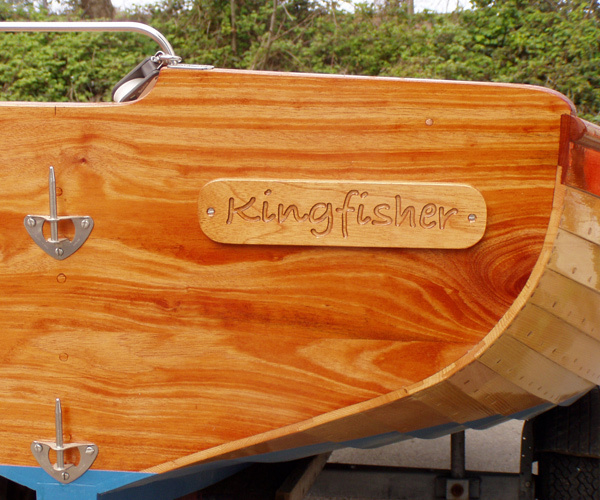 We have just launched numbers 63 and 64, our ninth and tenth dinghy of this class, with another on order, and are pleased to have nearly all our boats return to us annually for their re-varnishing and fitting out. 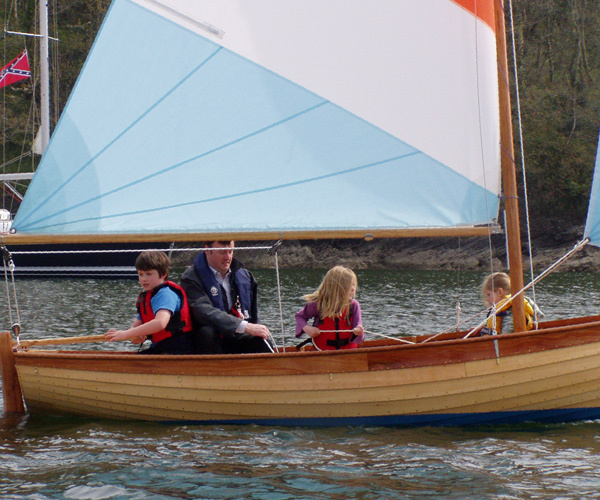 Looking to buy a Fowey River – or would like to trial sail one? 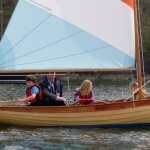 Second Hand Fowey Rivers do come on the market – contact us for latest information and advice, and arrange a trial sail.